During the Autumn of 2018 Gillian Lever (Art for Wellbeing Practitioner) and Wai-Ling Bickerton (Chartered and Health Professional Council registered Clinical Psychologist) co-facilitated a series of ‘Art for Wellbeing’ group sessions for Younger Adults at Birmingham Jesus Centre, 66 Gooch Street North, Highgate B5 6QU. The session model was built on the Spring to Life pilot project which took place at BJC from April to June 2018 which included a community engagement day and an ‘Art for Wellbeing’ group for Women and Children. Our vision was to offer structured group support with collaborative intervention by an Art for Wellbeing practitioner and Clinical Psychologist. The aims of the group were to improve psychological wellbeing, to increase individual group member’s social confidence and to enable verbal and non-verbal self-expression through participation in creative activities and conversation in a safe and therapeutic environment. The group facilitated individuals with diverse social and cultural backgrounds, and with different languages, to share and enjoy a time of creativity, reflection and mindful actions, even when many of them were going through highly challenging times in their lives. Within a few sessions, we witnessed the development of increased confidence expressed through their artwork, and their interactions with the group. We were encouraged by the overwhelming positive feedback, and have learnt valuable insights into the needs and presentation of the clientele served by the BJC. We aim to run more sessions for Younger Adults in 2019. (The Young Adults we were worked with were18-25 years old, registered with a Birmingham GP and eligible for Forward Thinking Birmingham low intensity psychological therapy service, based on the initial screening assessment). Gillian Lever and Wai-Ling Bickerton January 2019. Funded by Cars Area Together we delivered our first well-being programme at Auckland Hall, Cars Area, located in Smithswood. On Wednesday afternoons we ran regular mindfulness sessions, while on Saturday mornings we ran a mix of Creative therapies. This included Art, African drumming, Reading for Well-being, Dance and Movement therapy, as well as a session on Stress and anxiety management – leading up to Christmas! The process of promoting the programme in the local community has in itself proved highly beneficial, as we created good connections with people and groups in the area. “In such a short period of time, I have found myself able to recognize the healing value and benefits of connection, especially with like-minded people. For the 1st time in years, I can see a positive future for myself, full of possibilities”. “I have learnt a lot from each session facilitator and have enjoyed all my interactions with them, and have learned a lot about myself. I have also made contacts with other attendees outside of the sessions, which is great!”. From a regular participant of our mindfulness sessions: “Make some time for you, this will be an hour well spent. You can leave calm, relaxed and refreshed – all you need to do is sit and breathe”. We are very pleased to announced that due to the reception to this initial programme, our funding has been extended for the new year next September 2019. Because of the lower attendance on the Saturday sessions, both Mindfulness and the Creative therapies will be on weekdays. On the next stage of the Creative therapies programme, each month will be dedicated to a single therapy running over a few weeks. Details of these to be confirmed. Aside from our well-being work, Spring to Life has been busy over the last few months building its network and making links with a range of organisations doing great work in the West Midlands. As part of this we have attended different networking events where we have exhibited our services and built new connections. On the 10th of October (World Mental Health Day) Spring to Life attended the “Being Well Works Well” Conference organised by Common Unity. It’s aims were to “provide networking opportunities locally, regionally and nationally in respect of the well-being agenda, highlight upstream services being delivered currently under The Connecting Community Networks programme, present new and innovative approaches that seek to ensure early engagement with wellbeing support opportunities and actively promote the opportunity for improved well-being in a range of arenas”. On the 12th of October we were invited to attend the launch of a major Social Prescribing initiative by the Witton Lodge Community Association. This provided insight into the immense possibilities of this growing trend in social prescribing. Spring to Life has previously provided well-being programmes at Witton Lodge Community Association, and is part of its vast network of groups and people doing work in the local community. Social prescribing is the practice of GPs, nurses and other primary care professionals, of referring people with physical or mental health needs to projects and activities out in the community. This may include activities such as gardening, cooking, sports or arts. In November we attended the the iSE (Institute of Social Enterprise) launch of ‘Birmingham Social Enterprise City’ event. This was held on the 15th of November in order to coincide with national social enterprise day. Birmingham has the largest number of social enterprises in the UK outside of London, and is now officially a Social Enterprise City, being part of a national network of cities. Finally, in November members of Food Forest Brum/Fruit and Nut Village Stirchley attended a mini-conference at Birmingham City University (BCU) concerning the vision to create the West-Midlands National park. This is a pioneering vision held and developed by Kathryn Moore, professor at BCU in Landscape Design to develop West-Midlands including its urban areas into a national park, connecting parks, allotments, other green spaces as well as the general urban environment into a National park. As part of this there would also be the involvement of local groups and communities working on themes such as mental well-being to be part of the network that support this vision. Check out Kathryn Moore’s article about the idea: https://www.theguardian.com/cities/2018/jun/20/welcome-to-brumbria-should-the-west-midlands-become-a-national-park. A common theme running through these events seemed to be on exploring how we connect the individual to their wider community. The growth of the social prescribing approach, illustrates the increasing awareness of the value that being part of our community and environment has on our psycho-emotional health – and which in turn has a positive impact on their community and environment. Its been inspiring too see recently, even in just Birmingham alone, the number of people and groups with this goal in mind. We really kicked the project and the winter work season off well on 17th November. With over 70 people attending and work happening across several different sites at Hazelwell Park the day was busy and productive. We need to thank our caterers, The Real Junk Food Project, for coping so well with the high turnout – we’d originally told them that we expected 25 people and there were nearly three times as many! During the day we developed new growing areas in “The Kingdom Forest Garden” and mulched existing ones. There were some new plants introduced to the site and some path creation work. The nut grove planting began and we even managed to prepare some planting sites to extend “The Plymouth Run” which had had a great crop of plums earlier this year. We were awarded £500 by Love Brum at the end of November. Thank you to all those who watched our promotional video, commented and voted for us. We plan to use this money to maintain the health of trees during the winter to set them up for a fruitful harvest in 2019 and beyond. Billy Auger at Augernik Farm supported our work by supplying us with some heritage trees from his collection out in Shropshire. These were collected in early December and some are now already planted. The remainder will be planted over the coming months or grown-on for future use across the area in coming winters. We are very grateful to Billy for his support. Fruit trees are often supplied “bare-rooted” when they are dormant and we are now part-way through the delivery of this year’s trees for “The Village”. We are particularly excited about the coming arrival of a local apple variety, thought to originate within the conurbation or possibly within Birmingham! On 12th December we worked alongside The Friends of Stirchley Park and others to set up “The New Old Orchard”. A strange name?! Maybe not – the trees are young and newly-planted but the varieties selected are very old…in some cases perhaps 1000 years or more! Now, that’s heritage! We’re planting a Christmas Tree! Well, it’s an apple tree, but we will be doing it on Christmas day and it’s a “Christmas” variety. We’d love you to join us on the day for half an hour. We can use regular or occasional volunteers for all sorts of winter tasks. When trees are delivered bare-rooted we have to “heel” these in – it is a simple task but it takes time and care. Such jobs as these are great to fill a few hours and to get out on a winter day. Advertised below are the events we will be running over the next month or so. Don’t forget to write them into your diary or calendar! If you don’t want to come to an event before having met us then do feel free to message us on Facebook, on Twitter or by email or text. If you like we can speak on the phone before an event and give you more information about the day. The Wassail will be a light-hearted event offering a great chance to meet up with like-minded local people and enjoy a winter afternoon together. Details are below. Augernik Farm is a small family farm growing soft fruits, top fruits and nuts organically. The farm is run by Billy Auger and sells produce as pick-your-own, ready picked and also at farmers’ markets across the Midlands. Billy has been a familiar face at Moseley Farmers’ Markets for years. He has a great deal of experience in growing heritage varieties of a wide-range of fruits and nuts. 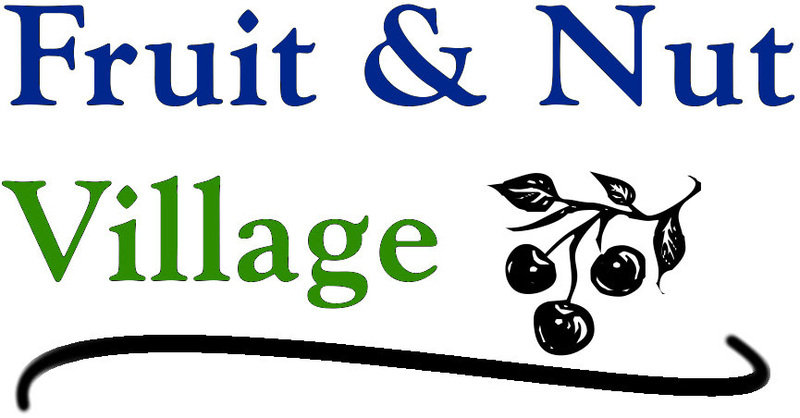 We are very proud that he is supporting our work at “Fruit & Nut Village”. This Victorian apple is very seldom eaten now. Despite it’s sweet, juicy and crisp flavour it has been largely forgotten except by enthusiasts. The fruits are fairly small but the trees do crop well to make up for this. Now is a great time to celebrate the tree though, since it was first listed in 1893 and it has just celebrated its 125th year! A claim that no person can make. At this time of year the tree’s fruit are best eaten from storage, ripening very late in the year. This must surely be why the apple was named after this season. Let’s celebrate the Christmas Pearmain this Christmas! Incidentally, the Christmas Pearmain is not the only apple named after this time of year. If you aren’t busy preparing for Christmas, or making the most of this season to have a rest, then now is a good time to prune apple and pear trees. If you haven’t learned how to do this from a book, or on a training course, or from an experienced, knowledgeable orchardist, then leave the secateurs to one side and take some time to learn the basics. Sticking to some basic rules with fruit tree pruning will prevent blunders and disease build up in the tree. Many people prune fruit trees to “tidy them up” or to give them a “haircut”. These approaches do not give good results. Apples and pears benefit from their framework being developed and from the remaining wood being thinned to allow good air-flow. We can help you to develop these skills on one of our pruning days. Please do join us! We are planting a heritage tree on Christmas Day with mulled cider and mince pies! It may be cold, wet and dreary in January, but the trees NEED us. We will be carrying out winter pruning on apple and pear trees in the area. Tools provided and no skills needed – you will be taught how to prune. Join us to dig out the holes and erect the posts for a new trained cordon fruit area. We will plant the trees here on a later occasion. Please BOOK on for this by emailing or texting us. Tools provided. Please join us to plant this significant local orchard close to the River Rea path. Tools provided. A brand new Forest Garden for the area! – why not get involved in planting it? Tools and food provided. In the last few months Spring to Life has seen some positive results reflected in our ‘Move to Recovery’ figures. Much of this has been from the stirling work carried out by our counsellors in different parts of the city. The table below describes the ‘Move to Recovery’ rate for both people over 25 years of age – through the IAPT scheme (Improving Access to psychological Therapies), and for those aged between 18 and 25 – Forward Thinking Birmingham. The government’s defined ‘Move to Recovery’, assesses improvements in mental health well-being in the community. These are percentages of clients we supported that have “recovered” from significant psychological distress. This means that, based on standardised outcome assessment, our clients’ distress (depression and anxiety) ratings had reduced from “mild/moderate/severe” to “normal” range. Our IAPT and FTB work has been done through a contract with the Living Well Consortium, which we are part of. It has enabled Spring to Life to make many new links with services and community projects all over the city. If you are interested in finding out about our counselling service contact us on 07856277028 or email info@springtolife.org.